We all know that when it comes to the heyday of scooters, there were more marques around than just Lambretta and V•spa. Most European countries, including the UK, tried to get on the bandwagon, with varying success in their home markets. My Twitter pal JahSeagrove points brought to my attention the Svalan – you might call it the Volvo of Scooters – made in his homeland, Sweden in the height of the 1950’s scooter boom. He tells the story of his discovery, ownership, and restoration here… and a nice little ‘oddball’ it is too… I particularly like the twin headlight version! 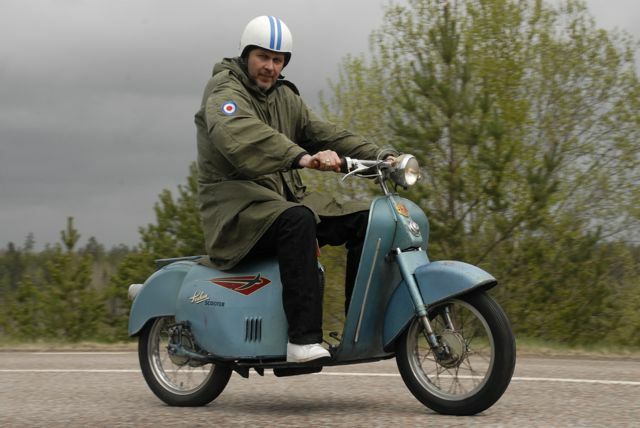 Even Thomas (Jah’s alter ego) admits a preference for the more well know Lambretta and Vespa marques… and there’s a lot of great stuff on his scooter blog that worth checking out. There’s some lovely shots of a Series 1 Lambretta he’s acquired, …it might just be beyond saving that one, even though it is a TV. Luckily he’s got another TV1 in better nick tucked away somewhere too! I’m actually more jealous of his Model D… Loving that green paint. 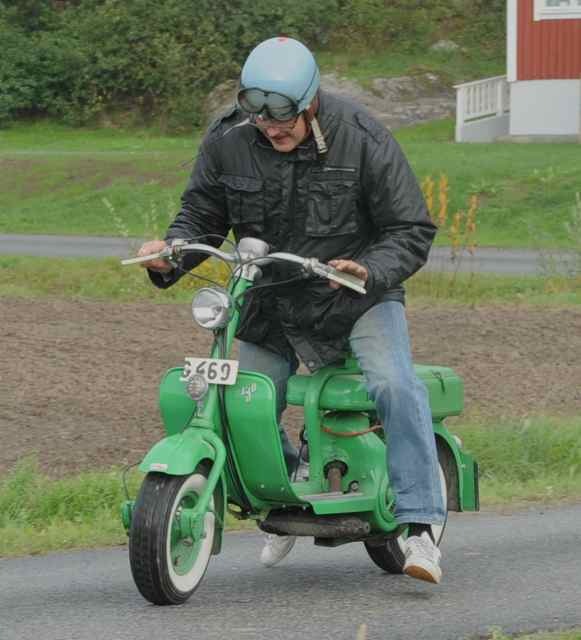 This entry was posted in Lambretta Life, Not a Lambretta, Scooters and tagged scooter, Svalan, Sweden by crocodilejock. Bookmark the permalink.